O2 has given TechRadar further information on how it intends to make sure users won't use a hack to get free internet tethering on their iPhone 3G and iPhone 3G S.
Steve Alder, general manager of devices for O2 UK, told Techradar that making use of the free data allowance as part of the contract could have adverse affects on others' surfing, so O2 will be cracking down. "We have ways of monitoring the data our iPhone users are consuming. "There's no limit on our mobile browsing fair use policy, but as it might affect the experience of other customers then we'll contact them first [to alert them of the terms and conditions of their deal with O2] and if it continues then we may have to disconnect them. "However, it's on a case by case basis, and as yet we've never had to ring anyone. We'll see how it goes, but hopefully people realise they would be doing something we don't recommend." 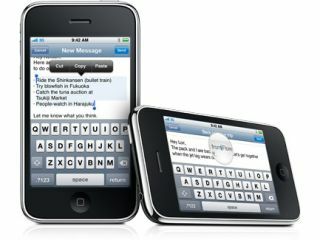 Those that use internet tethering legitimately on the iPhone 3G and 3G S will still be using the same data servers as their illegitimate counterparts, but Alder maintains that prohibited use will still disrupt the system. "It uses the same system, but we have you logged in and can plan our network capability around that contract." Alder also responded to claims that O2 was charging too much for its tethering data, stating he believed it was competitive (despite other network providers offering cheaper data rates). "The tethering bolt-on represents good value in relation to mobile broadband deals on the market. "Internet Tethering is a service we charge for through a monthly bolt-on. If customers wish to use the Internet Tethering feature on their iPhone 3G or iPhone 3G S, we recommend taking the bolt on. Any use of this particular feature without the purchase of the bolt on is not permitted under our terms of service."